The Global Ebola Vaccines Market Size is projected to gain the significant growth during the forecast period primarily due unavailability of accurate treatment vaccines for Ebola virus. Ebola, also known as Ebola hemorrhagic fever is one of the life-threatening virus infection present within the genus Ebolavirus. Ebola is established as a major risk to manhood in current years. Generally, the virus is spread to humans from animals. Moreover, direct contact with body fluids by an infected person is one of the major causes of transmission of this virus. The recent occurrence of Ebola attack in West Africa has brought the disease in the global focus. African countries such as Sierra Leone, Democratic Republic of Congo, Senegal, Mali, Nigeria, and Siberia, were stated to be affected by Ebola virus. Moreover, in 2014-2016, the total death cases in West African countries such as Guinea, Leone and Siberia were approximately 11,300 due to Ebola. Ebola starts out as a heavy fever, muscle pain, severe headache, body ache and sore throat. It is a viral hemorrhagic fever, a condition in which the patient bleeds externally as well as internally. The lack of a consistent cure for Ebola virus is the primary goal for the market players and investors of the Ebola treatment. Although, there is no cure for Ebola virus disease, characteristic diagnosis and treatment such as maintaining treating the infectious condition of the virus, constant visualization of required oxygen level, and electrolyte balance might help in improving patient’s health. Most of the vaccines to prevent Ebola virus disease are under the different developmental stage. Fear of potential outbreak of EVD in some regions and the huge demand for the novel vaccines is anticipated to boost the Ebola vaccines market size growth. The global Ebola vaccines market size is majorly driven by factors such as the lack of a guaranteed solution the infection at present. The impulsive nature of Ebola has also helped investors and key players to increase their R&D structure massively as the etiology and pathophysiology of the virus are unknown. This factor would significantly augment the Ebola vaccines market globally. Moreover, the increased awareness due to previous cases of African countries has gained people’s interest to use the vaccines. Moreover, in May 2017, World Health Organization (WHO) acknowledged outburst of Ebola virus disease in the Democratic Republic of Congo. And there is still fear and panic about a possible eruption of Ebola virus in economies of Western Africa. Various institutes and pharmaceutical companies are focusing on developing vaccines against EVD. Thus, awareness in that region is also a factor to the growth of the Ebola vaccines market size in these regions. Another factor enhancing the global market is due to the stable government support to Ebola vaccine research and development and emerging demand for Ebola vaccines has also become commercially profitable for pharmaceutical companies. However, unawareness for the availability of vaccines and the cost associated with the vaccines is the factor restraining the global market growth. Moreover, due to unpredictable nature of the virus, the risk of producing a resistance of Ebola virus for the vaccine is anticipated to hinder the Ebola vaccines market growth. The global Ebola vaccines market is segmented on the basis of virus strain and geography. Geographically, the global Ebola vaccines market is segmented into North America, Europe, Asia pacific, Latin America, Middle East, and Africa. North America to dominate the global Ebola Vaccines market size, yet the Middle East and Africa to generate lucrative opportunities due to fear of outburst the Ebola virus disease. On the basis geography, the Middle East and Africa are estimated to form lucrative opportunities for the global Ebola Vaccines market size owing to the high prevalence of Ebola infection cases in this region. However, North America is estimated to dominate the global Ebola vaccines market. 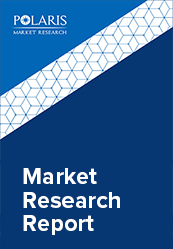 The global market is driven by the advanced medical research scenario in the U.S. is the primary reason for the regional growth in the global market. However, Asia Pacific is anticipated to show dominating market growth due to government initiatives to make people aware to use Ebola vaccines and improved healthcare infrastructure. Several key players and investors are focusing on producing vaccines for Ebola vaccine, enhancing their global presence. For instance, according to the Lancet, a published journal 2016, rVSV-ZEBOV called as V920 vaccine, developed by Newlink Genetics and Merck, which is found to be operative for phase III trial to cure Ebola virus disease. rVSV-ZEBOV uses strains of Zaire Ebola virus. The company has produced approximately 300,000 vaccines, in case of a fresh outbreak in vulnerable regions and applied for USFDA clearance. Moreover, GlaxoSmithKline has manufactured CAd3-ZEBOV vaccine which is derived using strains of chimpanzee adenovirus. Janssen Pharmaceutical’s Ad26-ZEBOV is an experimental vaccine under development and currently in phase one. In 2014, Novavax Inc. developed Ebola vaccine by using its proprietary rDNA technology.